BIKE FIT & SADDLE PAIN – Q&A. - Terry Peloton. You are here: Home / Sidesaddle Blog / BIKE FIT & SADDLE PAIN – Q&A. Q: I’ve tried multiple saddles, but I still have saddle pain down there. What’s next? A: Sometimes, it’s not the saddle that’s causing the issue, it’s how the bike fits. A bike that fit perfectly for the past 10 years may gradually begin to feel uncomfortable. This happens to all of us as we age. The loss of bone minerals as we get older means our height changes; it can decrease one to three inches over time. 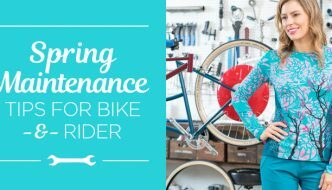 If you find yourself more stretched out, and the majority of your weight is supported on your soft tissue, it’s time to have a bike shop complete a fitting. Q: What adjustments can I make to my bike fit to overcome saddle pain? A: Sometimes it can be a simple change to the bike, such as the angle of the stem. This minor adjustment can place a rider in a slightly more upright position. 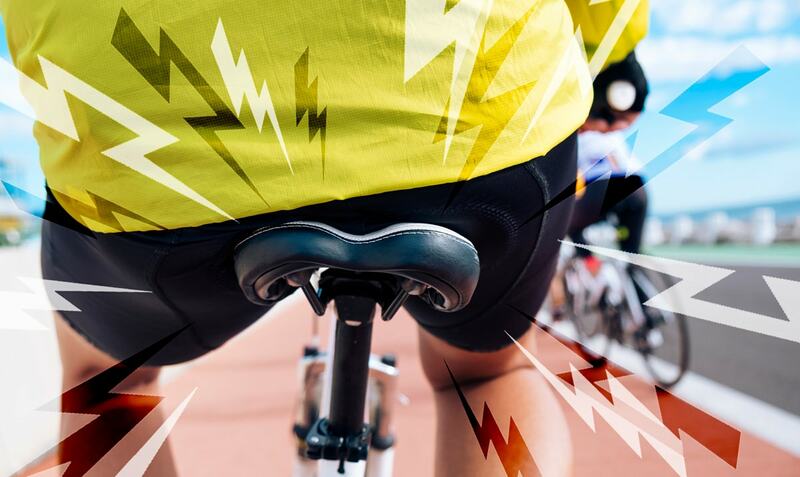 A shorter stem can help if you’re feeling stretched out, reducing the rotation of the pelvis, and shifting the pressure points on the saddle backwards. 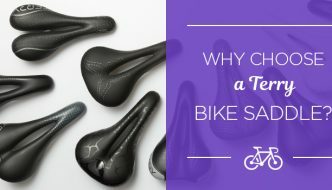 If still uncomfortable, you may need to adjust the position of your bike seat to relieve your saddle pain, or find a saddle that corrects the angle of your pelvis. An ideal saddle is one that will tilt the pelvis ever so slightly upwards as you ride. This reduces the pressure on the soft tissue. The added advantage to all of this is the slight pelvic tilt is at an ideal angle for maximum power to the pedal stroke. Q: Do I need a different bicycle to get a better bike fit, and saddle pain relief? A: In extreme cases, it might be time for a new bike with a shorter top tube and a proportionate geometry. As always, be sure to work closely with your bike shop to ensure angle and geometry work well together. Bicycle Fit: Start Here… contains lots of detail on good bike fitting. 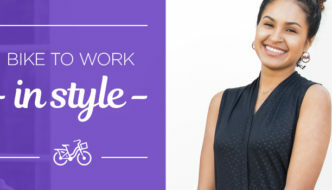 Correct bike fit for your upper body… great advice from Georgena. Once your bike fits like a glove, we here at Terry are ready to answer any of your questions about cycling clothes and bike saddles. Reach out to Customer Service by phone – 800-289-8379 – or send us a message.